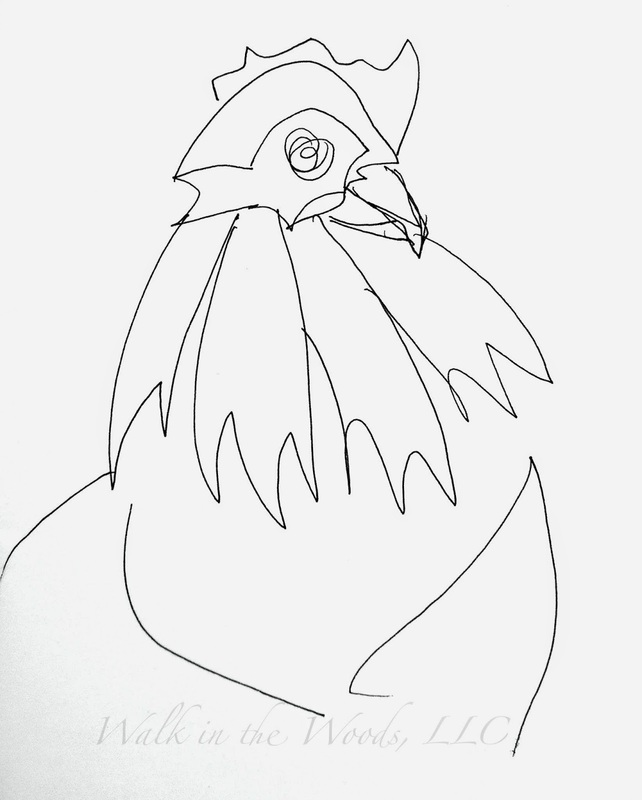 Love this simple hen sketch! Thanks for your visit Rose. I really like your sketch, nicely done! Simple and effective! Sometimes less is more. Great sketch - i love the free line quality! Love 'zen' quality and elegance of your wonderful sketch! Just a few simple lines and you managed to capture the essence. It almost looks like a one-line drawing. Well done! I just love that drawing! Nice sketches. Looks like everything is coming together for you. A bold but brilliant sketch! Love it!! LOve him... he is awesome Rose! What a charming rooster and thoughtful contemplations! He has a wonderful energy. Great drawing, so deceptively simple and so effective. He looks a little wary. Maybe he needs some of your medicine too.